For the past few years, I’ve been trying to make something Halloween related that doesn’t involve sugar. I wasn’t sure if I’d get around to it this year, but yesterday I came up with the idea of these Jack-o-lanterns and Jack the Pumpkin King (from the awesome movie classic Nightmare before Christmas) skeleton heads. They were so easy and fun to make, and came out exactly as I had envisioned. Who else has too many plastic Easter eggs stored away in a closet somewhere? 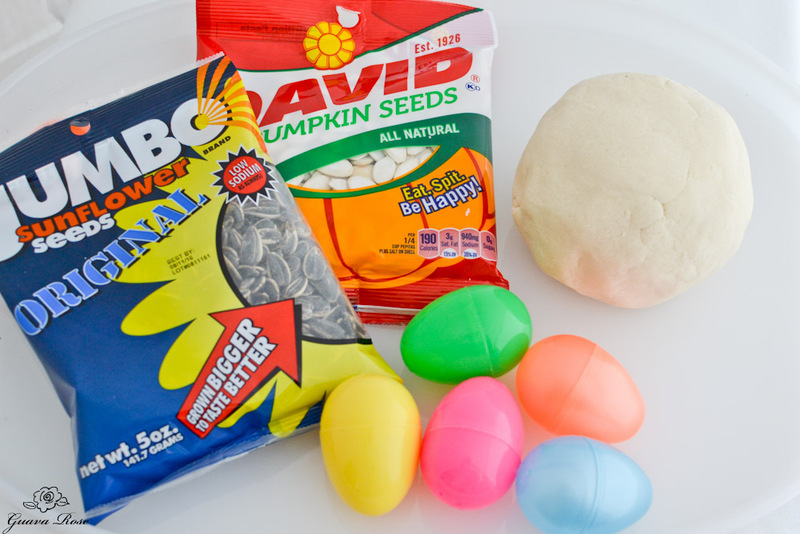 You basically just need some salt dough, plastic Easter eggs, some in the shell sunflower or pumpkin seeds, and later a black sharpie pen. 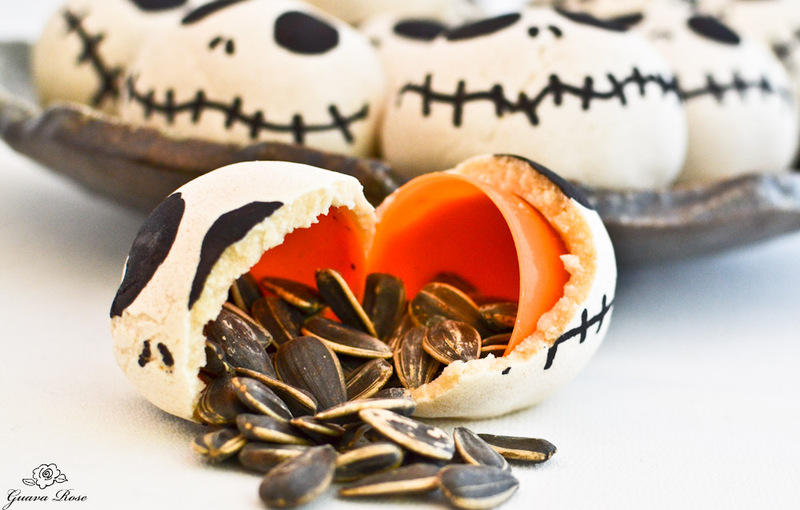 If you’re up for it, toast your own pumpkin seeds from any pumpkins you’ve carved. Fill the eggs about two-thirds full with the seeds. 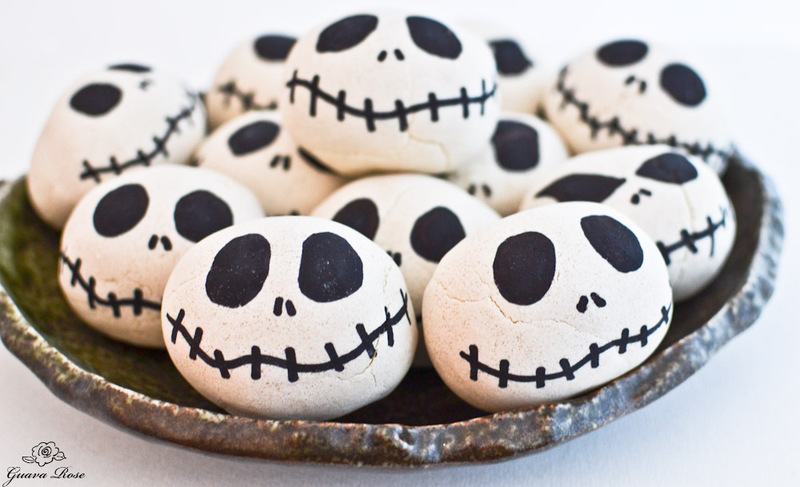 Take a golf balled sized piece of salt dough, flatten it out, and wrap it around each egg. 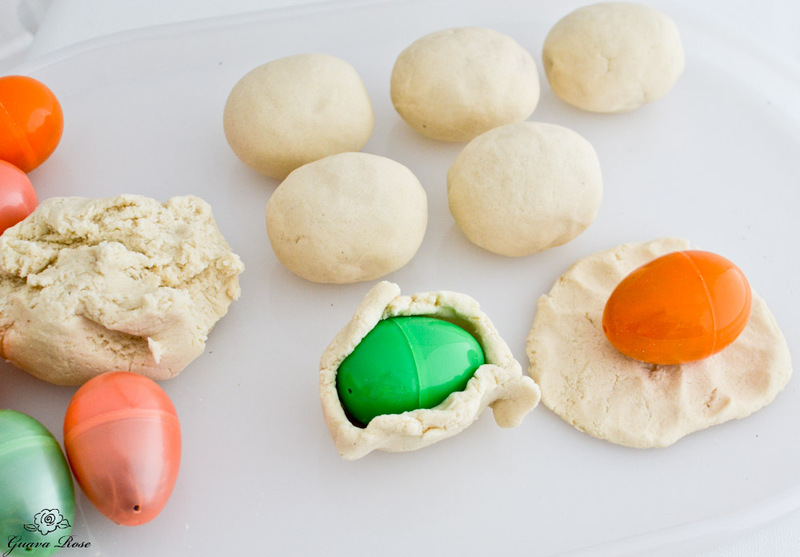 Press and push the dough gently to completely cover the egg, then roll it around in your hands to smooth the surface. Be gentle, if you squeeze too hard the plastic egg may pop open inside the dough. If you’re not pressed for time, let them air dry for a few days, or place them in a dehydrator overnight or until they are hard and dried. Pressed for time, as I was yesterday, place them on a baking sheet on the lowest setting in your oven. The lowest mine goes down to is 170 degrees F. It took about 3 hours. I would not want to bake it at any higher temperature with the plastic egg inside. For the last hour, place the eggs on their sides so the bottom can dry out too. These bottoms weren’t quite dry, but it was good enough. The top and sides were hard and dry enough to decorate. 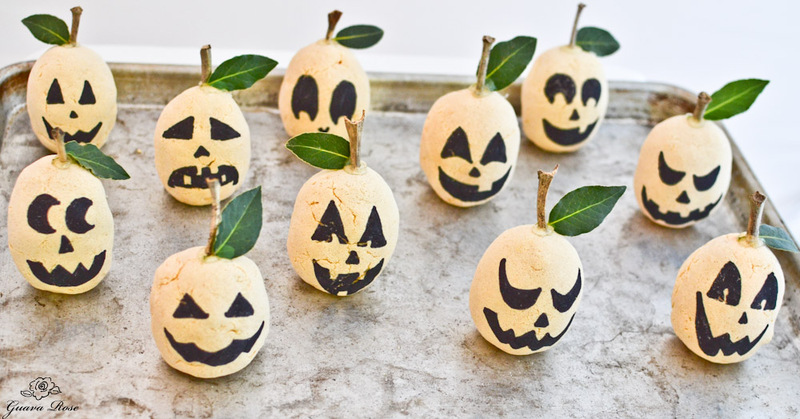 Get out that black Sharpie pen and decorate away! For Jack-o-lanterns, I used carrot juice instead of water in the salt dough. The dough only turns a pale peach color, but I have been trying to get away from artificial colors for a while now. Use food coloring if that’s what you have on hand, the outside part will not be eaten anyway. 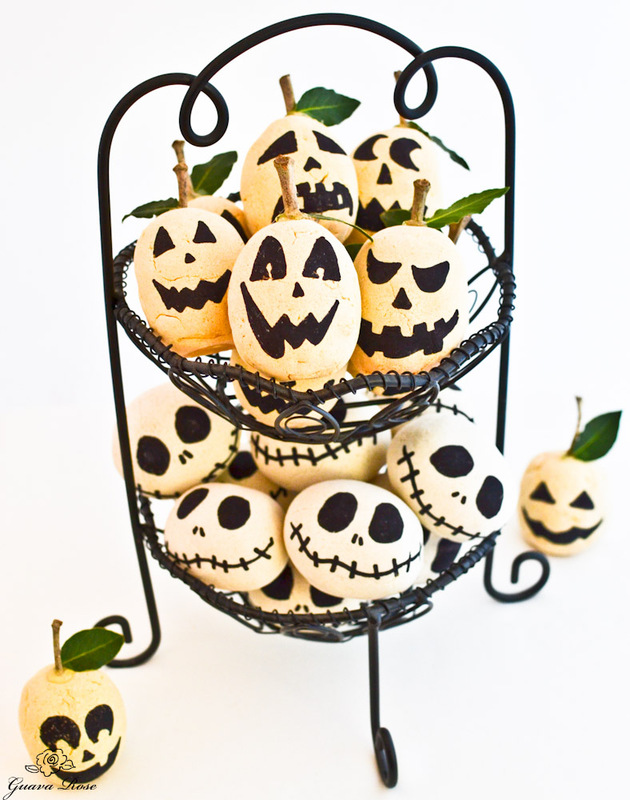 After I wrapped these pumpkins, I placed them in an upright vertical position since the skeletons were already horizontal (eggs on their sides). If you want some short, squat pumpkins use the horizontal orientation. A quick trip to my backyard produced some twigs and fragrant bay leaves, which I hot glued onto the pumpkin tops. Check your pantry spices for some dried bay leaves- they would probably match a little better, as their green is more muted and would pair well with the pale orange color. If you choose the oven option and prefer not to have the plastic eggs in an oven, even at a low temperature, just wrap a couple of tablespoons of seeds tightly in some parchment paper instead and proceed. 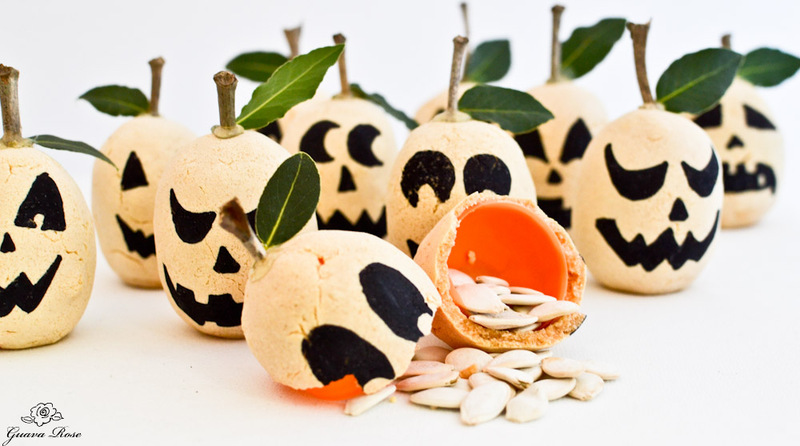 It will though take more dough to get a nice pumpkin or skeleton shape. So plan on making extra salt dough and needing extra drying time. 1) Do not eat the outside dough. Throw it away. then likely open, or you can gently squeeze the egg to pop it open. Fill the plastic eggs about two-thirds full with roasted seeds. Mix together all ingredients for the salt dough. Knead together until a smooth dough forms. Add extra water or flour if necessary. For each egg: Flatten a golf ball sized piece of dough to about ⅛" thick. Wrap around the egg, gently pushing and pressing the dough to completely cover the egg. Roll around in your hands to smooth out the surface. To dry: 1) Allow to air dry for a few days until hard; or 2) Place in a dehydrator for 1 or more days until hard; or 3) Place on a baking sheet in an oven on very low heat, no higher than 170 degrees F for 3 hours or until hard and dry. Turn shapes over on their sides for the last hour so the bottoms can dry also. Let cool, then draw faces onto them with a black Sharpie pen. 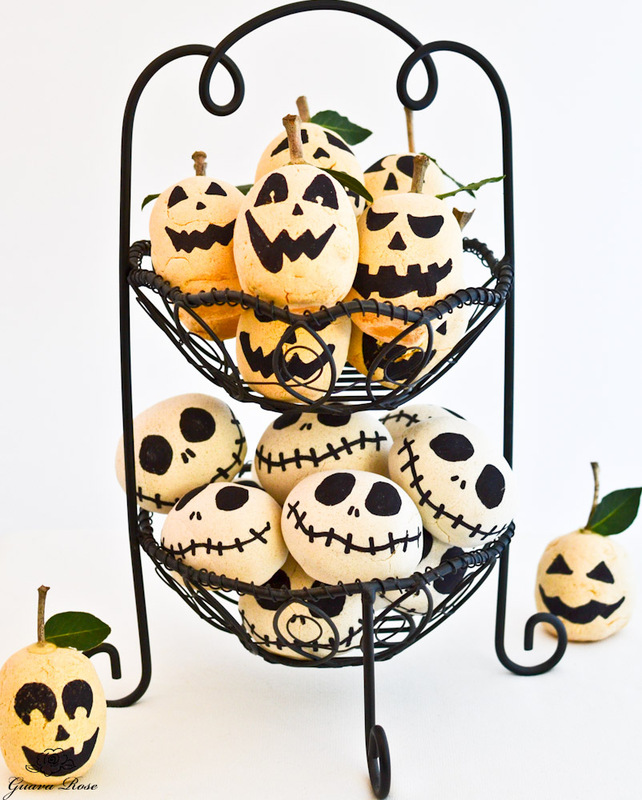 For Jack-0-lanterns, hot glue small twigs and leaves on the tops. Make sure to label and/or tell whoever you give these to a couple of things: Do not eat the outside dough. Throw it away. Do not smash to open. Find a crack in to dough and gently pull both sides apart. The egg will then likely open, or you can gently squeeze the egg to pop it open.